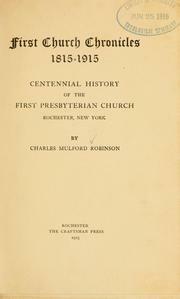 2 editions of First Church chronicles, 1815-1915 found in the catalog. Add another edition? 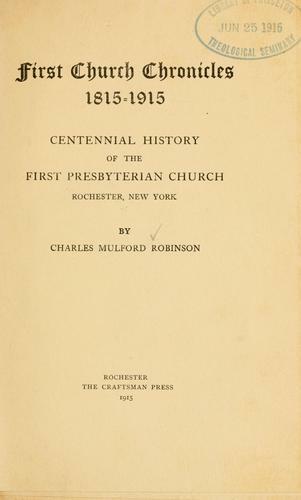 Published 1915 by Craftsman Press in Rochester, N.Y .